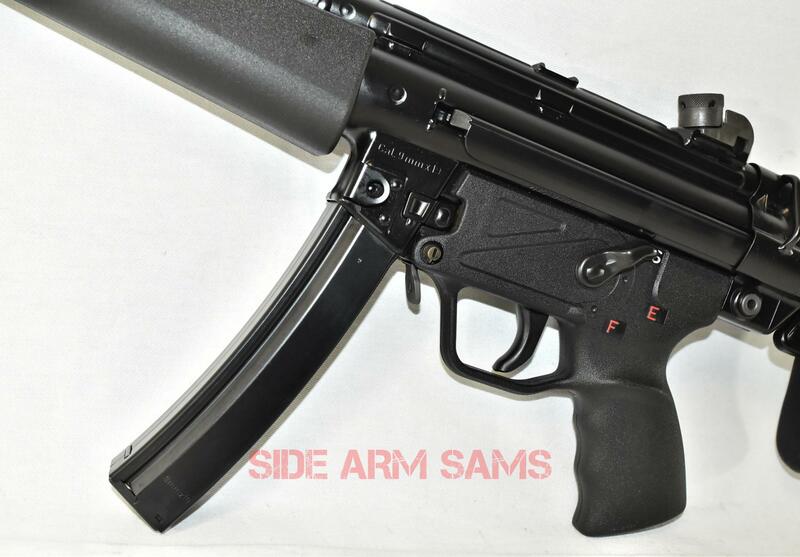 UNFIRED SINCE CONVERSION IS A GERMAN MP5NA3 Sear Ready Short Barrel Rifle (SBR) by TDyer Gunsmith. 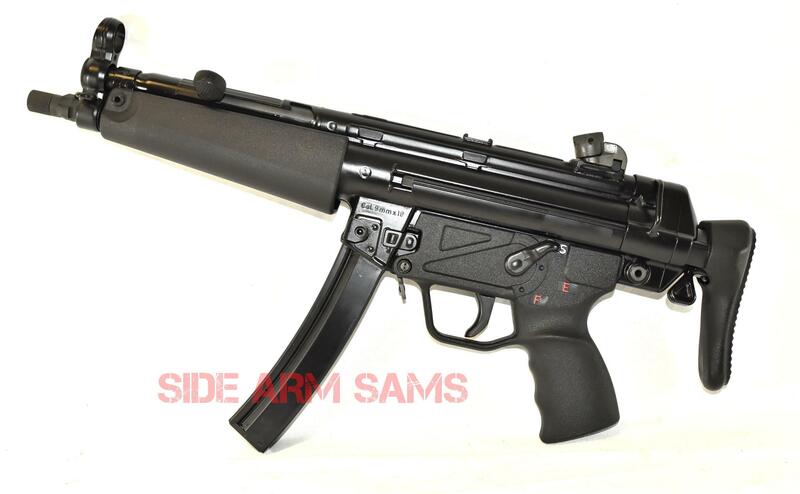 This Investment Grade Firearm was built from an Excellent Condition German HK94 (IH). 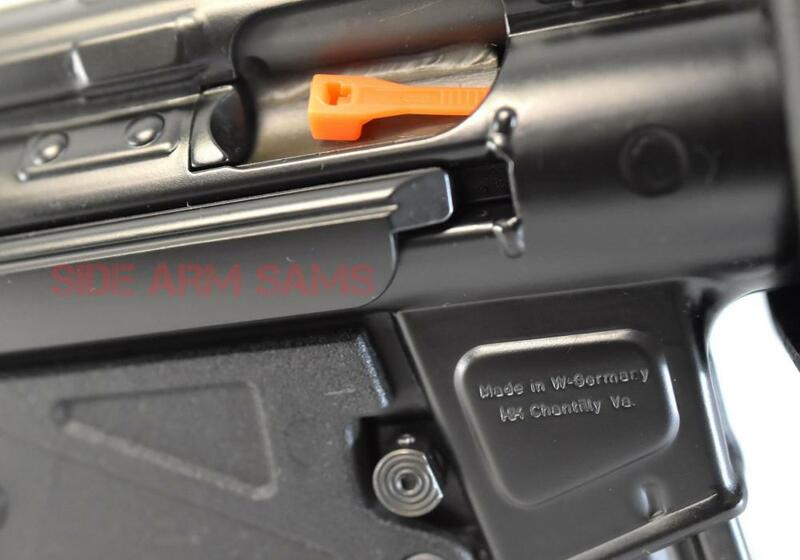 It includes a Authentic German 3-Lug Barrel (Not a cut-down HK94 barrel) and Threaded by TDyer in the popular 1/2X28 TPI with a Thread Protector, Factory German Semi-Auto Bolt Carrier Modified to F/A Specs., Flapper/Combat Magazine Release, Factory German A3 Collapsible Stock, New German Wide Hand Guard, Remarked MP5N, Mag Release, Barrel and Bolt Carrier has New Phosphate Finish and the Receiver & Stock was refinished in HK Black. 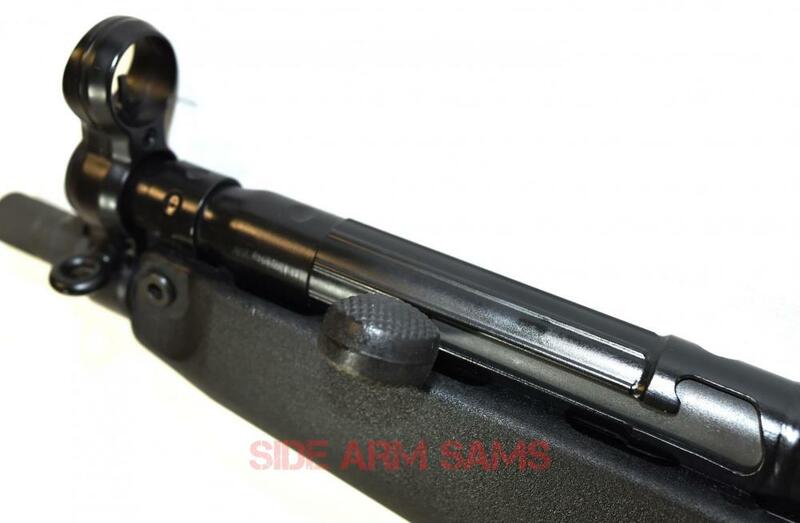 ALSO INCLUDES: A Qualified Mfg. 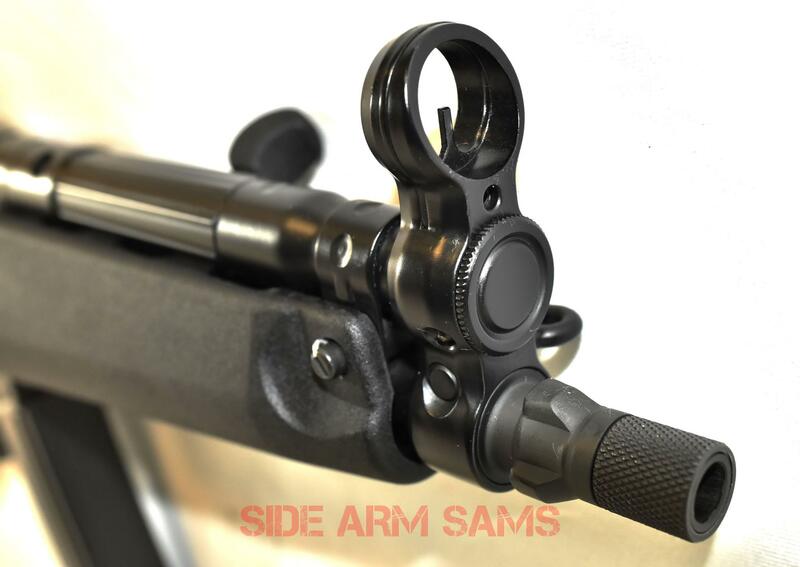 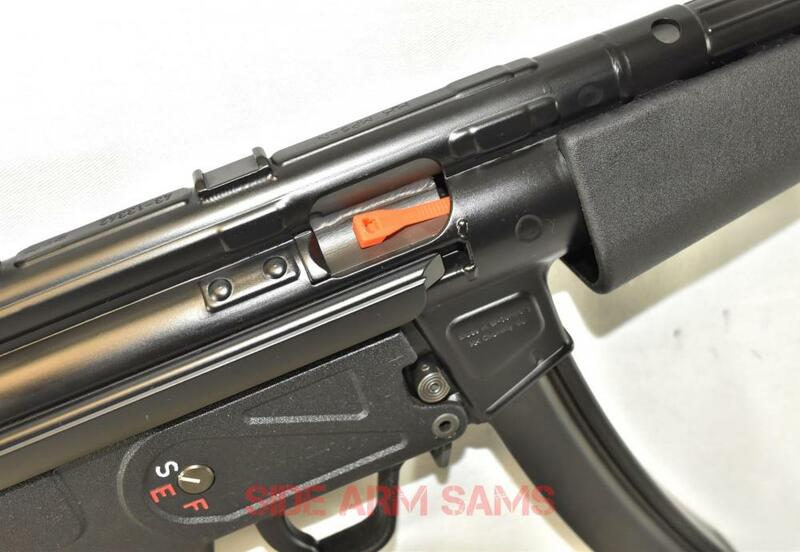 Full-Auto Sear, N/A Caliber Installed in a German SEF Trigger Group with a New German Housing Clipped & Pinned. 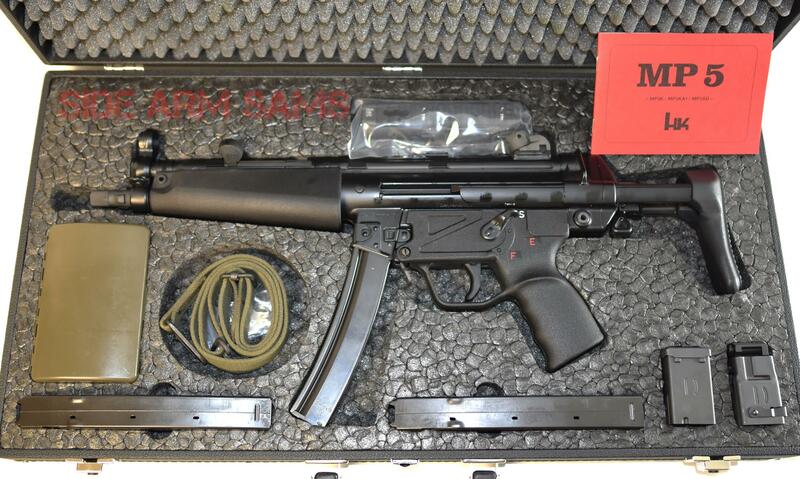 A New West German Made Custom Form Fitting Attaché Case, New German HK Marked Low Profile Scope Mount, New/Like-New HK Cleaning Kit, New/Like-New OD Canvas Sling, (1)New/Like-New (IH) Date Coded 30rd Curved Magazine to Match Gun, (2)New German HK 30rd Curved Magazines, New/Like-New Factory German 9mm Magazine Loader & Unloader and a Like-New Factory MP5 Red Book Manual. 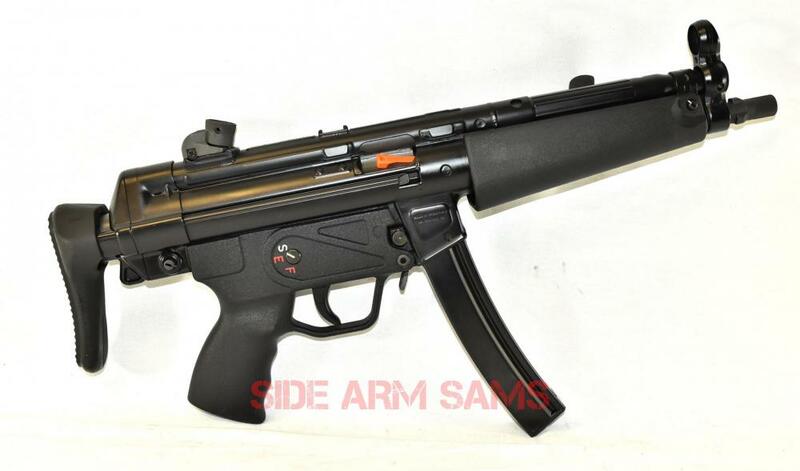 Truly a well put together Awesome MP5 Package in Mint Condition. 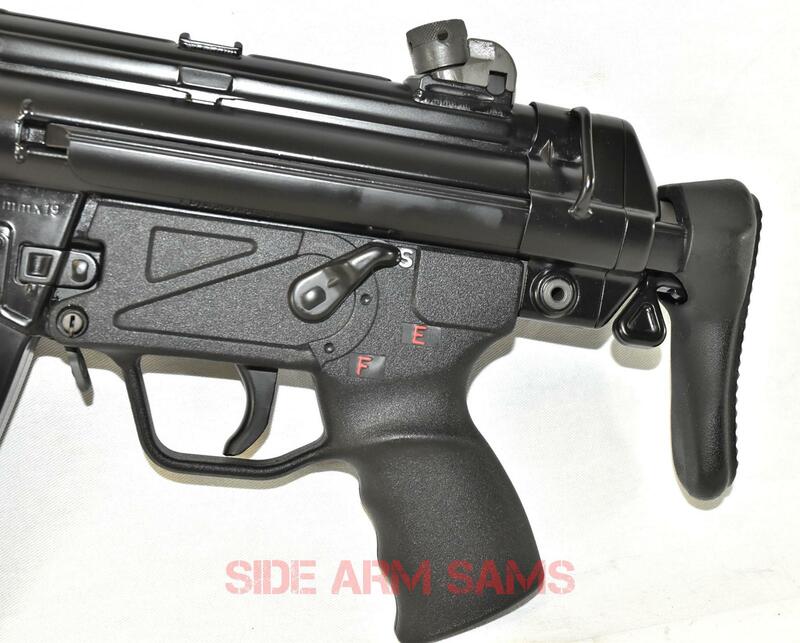 Absolutely no disappointments here.